If you are a manager or small business owner, you know how difficult it can be to find and hire the right employees for each role. Recruiting is one of the biggest challenges companies face. Not only do you have to identify the most qualified candidates, but you also need to do what it takes to attract the best talent and persuade them to say yes to your offer. From the other side of the table, anxious job seekers seldom realize how much effort goes into filling open positions. But anyone who’s sat in the recruiter’s chair knows–to put it simply–hiring is hard. Whether backfilling a position or expanding your organization, the process is time-consuming, expensive, and taxing on the whole team. However, your people are your most important resource; so, recruiting should also be considered an exciting opportunity. Hiring the right mix of skills, experience, and cultural fit is well worth the time, effort, and investment. Smarter recruiting on the front end leads to greater productivity and profitability as well as higher job satisfaction and retention. The recruiting process should never start with a new job opening — whether planned or unexpected. It begins with establishing your company values and culture and knowing in advance what kind of candidate will be the best-qualified fit. Keep your succession planning, workflow analysis, and recruitment plans up to date. Brand your company in the community and within your industry as a great place to work. Recruiting only becomes more difficult if rumor has it that you offer low pay, poor management, and high turnover. Much like your customers seek reviews and recommendations about your products and services, candidates check in with their networks for insight on what it’s like to work for your company. Always be thinking about your reputation from your next hire’s perspective. Never underestimate the power of a good job description. All-too-often, employers throw together a job description on the fly without careful thought and preparation. By doing this, they miss an opportunity to lay the groundwork for effective hiring decisions as well as the chance to make the job opportunity enticing to strong candidates. The job description should include a job summary, list of essential duties, required skills, and education/experience minimum requirements. It should be written in such a way that an applicant can imagine what it would be like to work in that role and how the position will fit their needs and goals — whether it’s an entry-level or low-skilled role or it’s a high-level executive role, everyone looks for indicators of the right fit before applying. Whenever possible, start from within. Is there a high-performing employee ripe for a promotion? Do you have a loyal employee ready for new challenges and looking to make a vertical move? Or is there someone within your existing network that would be a good fit? Cultivate an eager talent pool by promoting from within, implementing an employee referral program, and making your company known for all the right reasons, such as competitive compensation and benefits, growth opportunities, a positive company culture, and special perks. Use both high tech and high touch methods. Form relationships with universities, technical colleges, or other job training programs. Build relationships within your local community or industry circles to seek out potential candidates. Identify the best locations to post jobs — from a good old-fashioned community bulletin board to highly-targeted online career sites — remember, the best place to search depends on the position. 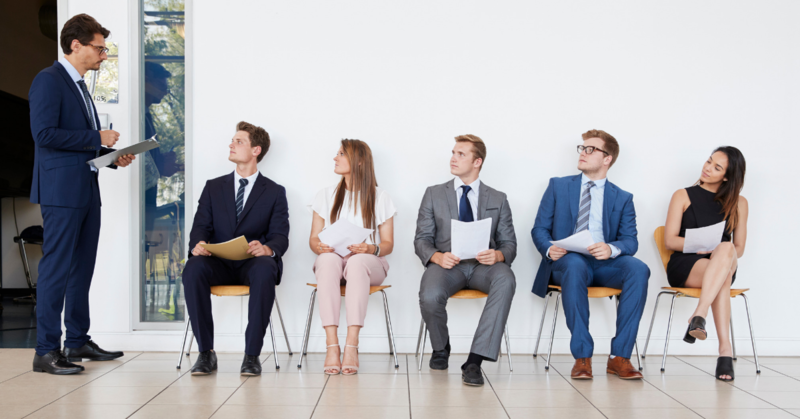 As a business owner or manager, your success depends in large part on hiring the best-qualified candidate for a job opening, so start by putting your most qualified recruiting team on the job. Whether you work with a human resources consultant, recruitment firm, or rely on your internal hiring managers, your company will benefit from following recruiting best practices. Everyone should be on the same page. Your hiring team needs to be well aware of exactly what you’re seeking in an employee, the best ways to assess candidates, interviewing do’s and don’ts, legal matters, and more. You expect your candidates to be prepared for interviews, but what about hiring managers? Are they taking time to read resumes in advance, prepare interview questions, and a provide realistic job previews and helpful answers to questions? If not, you’re making a negative impression on the candidate and missing the opportunity to properly screen candidates. Not being trained and prepared for hiring can have long-standing negative consequences. No company can afford to hire haphazardly. The recruiting and hiring process does not stop once you’ve identified a candidate. It should be common practice, especially in a competitive job market, to craft a compelling offer for your top candidate and keep lines of communication open with other strong contenders. Keep in mind, the applicants who didn’t make the cut may be suitable for another job in the future and they spread the word about their experience with your company. Once your new employee accepts the offer, make sure they get off to a great start and lay the groundwork for a lasting relationship. Welcome them into your organization with appropriate onboarding, new hire orientation, introductions, and necessary training. After each job search and after the employee has been with the company over time, assess what worked well and what didn’t. Carry your best practices forward into your recruiting process and you will not need to reinvent the wheel each time. Overall, it’s most important to approach recruiting strategically, to take it seriously, and embrace it as an opportunity to bring a valuable resource into your company. Get Your FREE Recruiting and Hiring Quick Take Guide! Enter your name and email below to access your pdf download.